Sirius XM Radio (SIRI) is hosting Howard Stern's Birthday Bash that afternoon and evening from New York's Hammerstein Ballroom. The celebrity-studded event will naturally be broadcast on its satellite stations, but, in an unusual move, it will also stream the event for free -- worldwide -- through its siriusxm.com website. This is a pretty big fete. Jimmy Kimmel will be hosting the affair, and among the performers who have revealed that they will be part of the show are Jon Bon Jovi, John Fogerty, and Aerosmith's Steven Tyler. Comedians Louis C.K., David Letterman, and Sarah Silverman will also be in attendance. In other words, even if you find Stern's polarizing humor, interviews, and antics to be a bit crude, there may be enough celebrities whom you do like on tap to make it worth your while to tune in. Sirius XM is thriving and profitable with nearly 25.6 million subscribers. That probably wouldn't have been the case without Stern. Stern's arrival changed the game for satellite radio. A morning show legend who at his peak attracted as many as 20 million listeners had left terrestrial radio for this premium platform at a time when few cars had satellite receivers and even fewer drivers wanted to pay for it. %VIRTUAL-article-sponsoredlinks%Stern didn't just make satellite radio viable to the point where a majority of the new cars hitting showrooms now come equipped with factory-installed Sirius or XM receivers. Stern's decision to go with Sirius was enough to let the smaller player take executive control in its eventual merger with XM. Financially speaking, it was a merger of equals, but in reality it was Sirius' top brass calling the shots at the new entity. It may seem odd that the Stern celebration is being streamed for free on Sirius XM's website. 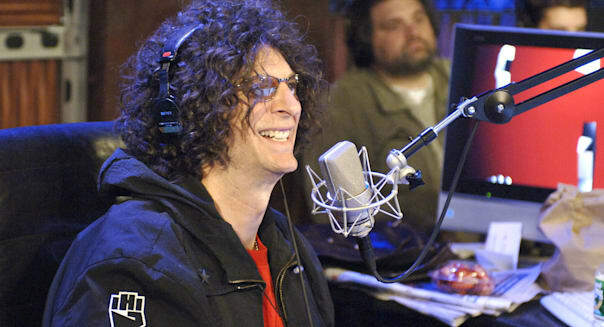 Stern has been on premium radio for eight years. It may seem even stranger that the birthday performances will be available worldwide. Sirius XM's coverage is limited to North America given the licenses and satellite placements. Then again, the event could also be just what Sirius XM needs. The problem with Stern leaving traditional broadcast radio is that younger terrestrial radio listeners have no idea what they've been missing. Older fans that didn't make the leap to satellite have moved on. This party will give Sirius XM a way to introduce or reintroduce Stern to non-subscribers. Even though there are now less than two years left on Stern's contract -- and all indications point to the America's Got Talent judge not renewing after 2015 -- it may as well use its star while it still has him around. There's also the global potential. Sirius XM's fleet of satellites can't beam outside of North America, but there's little stopping the media giant from brokering the deals to stream overseas. There would be a lot of licensing rights that would need to be secured, but Friday night's bash could be a springboard for an international push.